I read Che-Cheh's blog regarding about the Heroes personality test. I am a big fan of the show and haven't miss a single episode yet. 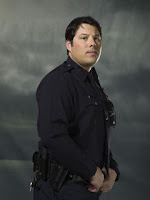 I took the test and I'm quite surprised to know I'm Matt Parkman, a LAPD cop who hear the thoughts of others. The description is quite true about me though. Congratulations, you're Matt Parkman! You're a great person: caring, hard-working, and honest. You might not have the best of luck, but you do your best in all areas of life. Your kind and responsible nature is rare, and you should be proud of it. Your best quality: Heart Your worst quality: You may take more abuse than you deserve.